The SOFAAR Society is proud to announce the 2018 Fibre Arts Fall retreat 2018 September 28th to September 30th! 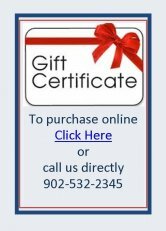 Join Us at One of Annapolis Royal’s Most Iconic Heritage Properties. Hillsdale House Inn was built in 1859 by Susan Forbes Foster. She operated Hillsdale House as a first-rate inn, and for more than 150 years the inn has been accommodating visitors to Annapolis Royal. The inn offers 13 well-appointed guestrooms combining a refreshing mix of Victorian charm, timeless hospitality and many of the comforts of modern lifestyle. 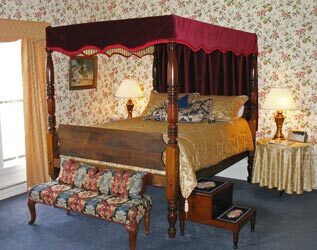 Our goal is to weave the intimacy of a bed & breakfast inn with the privacy and conveniences of a small hotel; the best of both worlds. 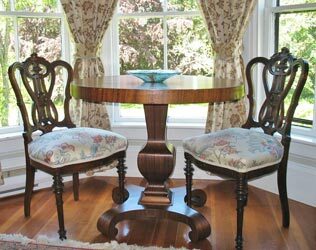 Imagine relaxing after your full country breakfast in the Foster or Perkins Parlour, on the covered or open veranda, or in the gardens. Oh yes, you won’t need to stop for lunch! We are conveniently located within the historic Town of Annapolis Royal (a federally designated National Historic District) and a short drive from the world renowned Bay of Fundy. 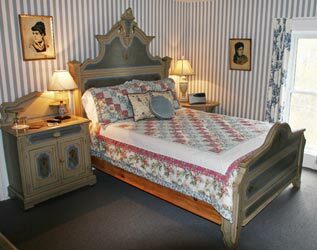 The inn sits on a 12-acre estate, with manicured lawns, stately trees and numerous gardens. Stay with us while you tour the area and explore the nearby Annapolis Royal Historic Gardens, Fort Anne and Port Royal National Historic Sites, and numerous other attractions. We are also a short walk from local restaurants, shops, King’s Theatre and galleries exhibiting prominent local artists and artisans. Come and experience the stay of a lifetime where history and hospitality make you feel relaxed and comfortable. We want you to leave with indelible images of the way life was once lived. Hillsdale House Inn is also a magical venue, and we cater to business meetings. We are pleased to offer Pet Friendly Accommodations for that important member of your family with the same care given to all our guests.